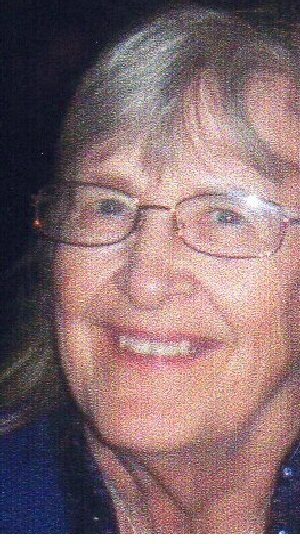 FULTON, NY – Elizabeth M. “Betty” Duffer, 74, of Clay, passed away Tuesday November 13, 2012, at home surrounded by her family. She was born in Croghan, NY, a daughter to the late Alice Walter and Francis Duffer and graduated from Lowville Academy in 1955. Upon graduation, Betty moved to Fulton where she met her first husband and started her family. Betty retired in 1993 from General Electric in Liverpool where she worked for nearly 30 years. Many people knew and loved her strong personality, wonderful sense of humor and her willingness to help anyone at anytime. Betty was an avid fan of NASCAR, the Dallas Cowboys and enjoyed gardening. She was a member of the Ladies Auxiliary of both the Suttle Vernice American Legion and the V.F.W. Post 153, Baldwinsville. Betty was predeceased by a brother, Arthur Duffer, who died in 1994. Betty is survived by her son, Verner Draper Jr. of Pennellville; two daughters, Alice (Paul) Burns of Central Square and Joyce (John) Rao of Baldwinsville; she is also survived by several step-children including her step-daughter, Darcy (Brian) Beattie-Clute of Fulton; two sisters, Shirley Berrus of Hannibal and Mickey Duffer of Oswego; her former husbands, William Dann of Baldwinsville and Verner Draper Sr. of Fulton; six grandchildren; two great grandchildren; several nieces and nephews. Calling hours will be held 10 a.m. to noon Saturday with services to follow at Foster Funeral Home, 910 Fay St., Fulton. Contributions in memory of Ms. Duffer may be made to Humane Association of CNY, Inc. 4915 ½ West Taft Road, P.O Box 38, Liverpool, NY 13088. RIP Aunt Betty. You will missed! Love you!